a cute little hairband using some fabric from old jeans. a piece of plain hairband, piece of cardboard from packaging. (1 x2) is lay a one petal into a 'V' shape. This is the result of the sequence I applied. or you make use fabric from different pair of jean which have different shade. You will a firm piece of 'bow' after the glue dried. Position where you want to 'bow' to be..
and glue the piece with glue gun again. You may trim bit of the corner to make the 'bow' shape more round and sweet! Decorate with an old jeans button. Another great old clothes recycle...not a dime is spend! Use, Reuse, Recycle, Repurposed, Re-Love! Love the little details - your two-and-three-petal design, the bow and especially the jean button in the middle! Cute hairband! This might be an idea for my granddaughter but I'd have to make it a bit smaller (she's not quite a year old) A great post for Earthday. Wow this is so cute & creative! It turned out so beautifully! Supper cute, Thanks for sharing this great idea with us at The Sunday Round Up. Great project! In fact, you have several good projects. Just stopping by from UBP2012. 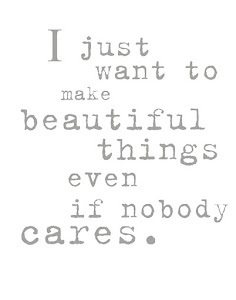 My site is http://icreatepurtythangs.blogspot.com. Drop by some time. I love this headband and have been looking for one to make for me,because I wear a lot of Jean dresses. This will go perfectly! Thanks for sharing. As always your tutorials are clear and easy to follow. This is a perfect upcycle accessory. Lovely ! What a fun idea for old jeans! Love the use of the button too! Thanks for linking up with DIY under $5! I'll be featuring this on Tuesday. This headband is so cute - we love the button detail in the middle! This is so pretty!!! You are so crafty!! Super cute! Thanks for sharing your tutorial! How adorable, what a great idea. I would love if you shared them on my link party. That is adorable and creative. I have never seen that done before! 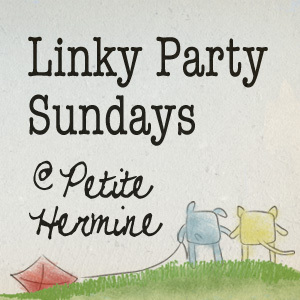 Thanks for linking up last week at Whimsy Wednesday! Super cute, I just threw away a pair of my hubby's old jeans, darn it! My daughter would love one of these! Going to pin this so the next time we have a spare pair of pants I know what to do with them...make hairbands :) Thank you for sharing on A Crafty Soiree. Thank for the share, very cute! This is so so stinkin cute!!! 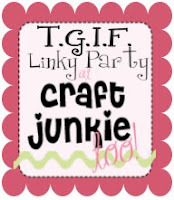 Hi I'm a new follower and would love for you to link up to my Frugal Treasures Tuesday party going on through Sunday evening. Hope your weekend is going well. This is a really fantastic idea, thank you for the tutorial. It's really fantastic idea, I do love it!! Thank for sharing all the idea. Just a note to let you know that I featured you at Jillify It today!!! Stop back over and link up more of your projects on the new Saturday Showcase! 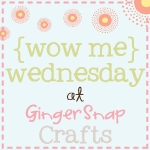 We are accepting all craft projects this week! We can't wait to see what you share! i love this so much the headband is like so stylish i totally LOVE IT it looks so cute on me!